The AccuBanker AB1100PLUSMGUV Currency Counter saves time and money. 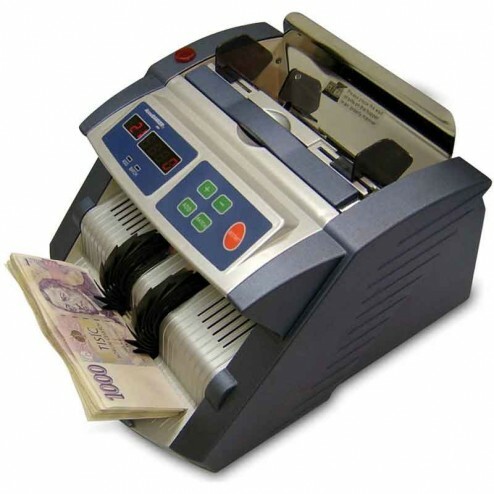 The next generation bill counter counts at high speeds, boasts a sleeker design and incorporates an emergency stop feature and auxiliary screen for a safe, accurate and fast cash counting process. Dimensions: 9.75" x 11" x 6"